Winter skin and hair saviours from Moroccanoil, Korres, Dial and John Frieda! 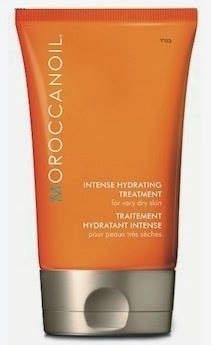 Moroccanoil Intense Hydrating Treatment - 100ml -$27 - an innovative skin rescue treatment infused with antioxidant rich argan oil and naturally replenishing botanicals - including organic chamomile water, organic sunflower seed oil, Vitamin E derivatives and glycerin - for dry skin, or skin that is affected by seasonal change. This technologically advanced formula is a gel that melts into a warm, soothing oil, penetrating deep into the skin for ultimate healing and relief. Skin's elasticity is restored and is left softened and soothed. As great an intense moisturizer as it is, what I like best about it is the scent - a lush honey-lavender aroma meant to awaken the senses, while organic chamomile and oil infusions calm irritation and inflammation, leaving skin condition noticeably healthier. Use it 1-2 times per week concentrating on rough, dry areas, such as the elbows, knees and heels. It can also double as a bath or massage oil and can even be used on hands to help strengthen nails and soften cuticles. Available at luxury spas and fine salons across Canada including Quartz Crystal Spa (Trump Hotel Toronto), The Spa at Fairmont Chateau Lake Louise, Spa Vida (Sheraton Wall Center Vancouver), Victoria Park Spa (Montreal) and The Spa at the Four Seasons Toronto. Korres Greek Yoghurt Moisturizing Face Cream - 39ml - $42 - an 83.6% natural, ultra soothing, non-greasy cream that brings immediate hydration and comfort to dehydrated skin with skin soothing, moisturizing yoghurt which provides a natural source of proteins, minerals and vitamins to instantly nourish dry, stressed skin. Available at select Shoppers Drug Mart locations. 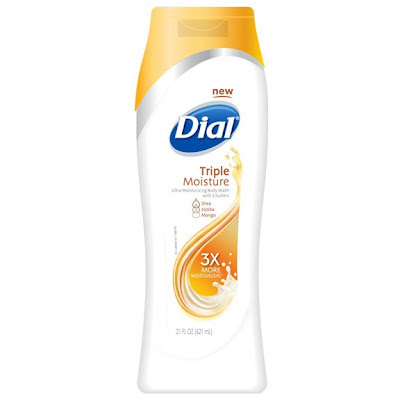 Dial Triple Moisture Ultra Moisturizing Body Wash - 473ml - $5.99 - with a creamy formula that delivers 3X more moisture than regular Dial with a rich blend that infuses skin with shea, jojoba and mango butters to leave it feeling moist and luxuriously softer after each wash as well as beautifully scented. Available at drug, grocery and mass retailers including Shoppers Drug Mart, Walmart, Loblaws and Jean Coutu. John Frieda Full Repair Perfect Ends Deep Infusion - 50ml - $14.99 - smoothes and protects medium-textured hair damaged from high heat. Contains Inca Inchi , a lightweight, micro-oil rich in omega-3, absorbs into worn-torn strands instead of just coating the surface. Weightlessly reverses the look and feel of damage on lengths and ends to leave hair smooth, shiny and full of body. Also helps protect against breakage from heat styling and is safe for colour-treated and chemically-treated hair. Available at drug and mass retailers.